ALARA is an acronym for the phrase As Low As Reasonably Achievable. It is most often used in reference to chemical or radiation exposure levels. ALARA is not simply a phrase, but a work principle, a mindset, a culture of professional excellence. In an ideal world, one could reduce his exposure to hazardous materials to zero. In reality, reducing an exposure to zero is not always possible; certain social, technical, economic, practical, or public policy considerations will result in a small but acceptable level of risk. The best way to prevent this risk from increasing is to keep one's exposure ALARA. 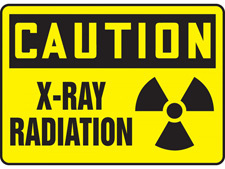 Get X-ray and radiation safety signs and tapes at Safety Emporium. ALARA practices apply to virtually any substance, but are mandated for radiation workers by the U.S. Nuclear Regulatory Commission (NRC). One can never have "zero" radiation exposure because of the naturally occuring radioactivity that surrounds us - cosmic rays, natural isotopes in our body etc. Therefore, the best we can do is to add nothing to this background dose, i.e. we keep our exposure ALARA. The ALARA approach used by the NRC assumes that any exposure to ionizing radiation carries some risk. The risk is assumed to be linear, so as one's exposure increases, so does the risk of adverse health effects. Instead of operating at or just below permissible exposure limits, one must stay as far below the exposure limits as possible. This affords a wider margin of error should a control fail or malfunction - one's exposure level may rise but still stay below the acceptable limit. Note: The OSHA Hazard Communication Standard 1910.1200 does not cover radioactive materials unless they also present a physical or health hazard. 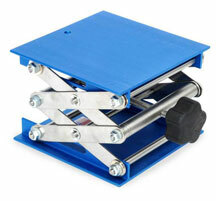 See the MSDS FAQ for more information. This term may appear in a discussion of PEL's, TLV's or other exposure limits on an MSDS. It will also appear on the MSDS for any substance that contains or is contaminated with a radioactive element. Your chemical reactions can be run safely and effectively with US-made clamps and other laboratory accessories from Safety Emporium. Radon Toxicity Standards and Regulations at the ATSDR includes a mention of ALARA. Regulatory Guide 8.37 discusses the Nuclear Regulatory Commission's commitment to ALARA principles. Handling of Carcinogens at Sir Albert Sakzewski Virus Research Center applies ALARA principles to carcinogens. ALARA and Chemical Exposure: A Prudent Practice at EHS Today's Out Loud Blog. The International Atomic Energy Agency is sponsoring a February 2016 conference in Vienna titled International Conference on Human and Organizational Aspects of Assuring Nuclear Safety - Exploring 30 Years of Safety Culture . See also: ACGIH, PEL, TLV. Entry last updated: Tuesday, July 26, 2016. This page is copyright 2000-2019 by ILPI. Unauthorized duplication or posting on other web sites is expressly prohibited. Send suggestions, comments, and new entry desires (include the URL if applicable) to us by email.